We offer a wide variety of HVAC services such as servicing and HVAC installations. We also specialize in HVAC maintenance. Whether it’s your heating or cooling system, we have you covered. Here at Westerhouse Heating and Cooling in Eudora, KS we treat every customer with integrity and respect. Every project is important to us – big or small. We can provide new equipment, duct work, exhaust fans and ventilation, sized and installed to suit your new home or business. We work with you to make proper adjustments and changes to retrofit your homes remodel. We can replace any current equipment in your home whether you are in need of a replacement or just thinking about an upgrade to a higher efficient product. Just call we strive on providing the most quality and timely service work for you. We can provide you with seasonal maintenance plan agreements to help keep your home or business’s equipment running properly and at its highest efficiency. We are able to build and fabricate custom sheet metal work in house. 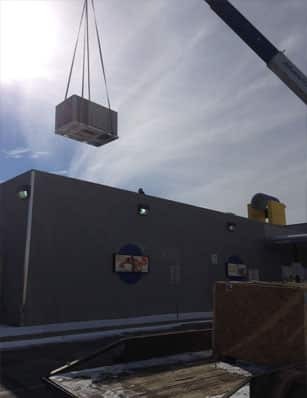 We offer a wide range of HVAC services. For immediate assistance with your current heating or cooling system, please contact us or call us at (785)542-2707. You will find wide variety of HVAC products to fit your needs.